Go right on Ygnacio Valley Road, up 7.5 miles. 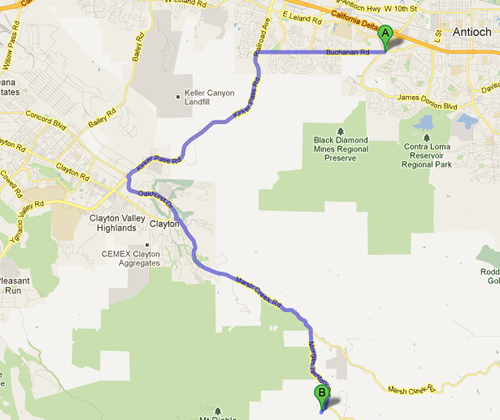 Right on Clayton Road (the road will change its name to Marsh Creek without you making any turns), 5.8 miles. Right on Morgan Territory Road, 1.9 miles. Right on Curry Canyon Road. We are the first entrance on the left. 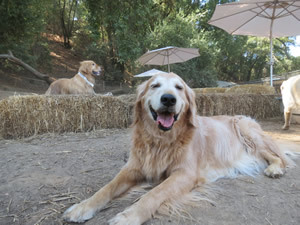 Yippee, yahoo….you are at the BEST dog facility EVER! Go over the small bridge, past the bushes then left under the arbor into this beautiful facility. This is also a private residence. Please do not enter areas marked “Private Residence, No Trespassing”. 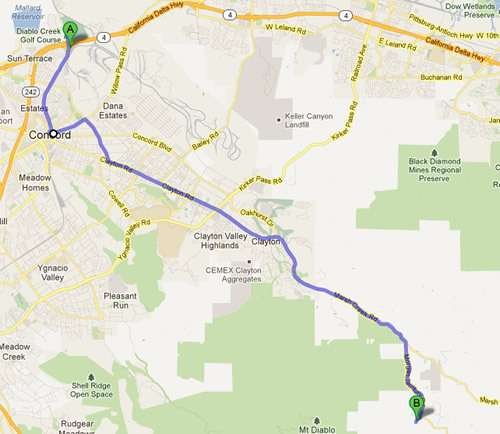 From Balfour turn left onto Deer Valley Road, then 3.8 miles. 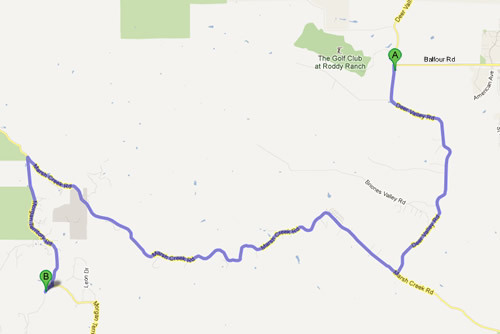 Turn right onto Marsh Creek Rd, then 6.9 miles. Sharp left onto Morgan Territory Rd, 1.9 miles. Turn right onto Curry Canyon Rd. We are the first place on the left. Go left on Clayton Road, then 5.8 miles. Go Right on Morgan Territory Road, then 1.9 miles. Go Right on Curry Canyon and we are the first place on the left. Quick left on East, East turns into Clayton Road. 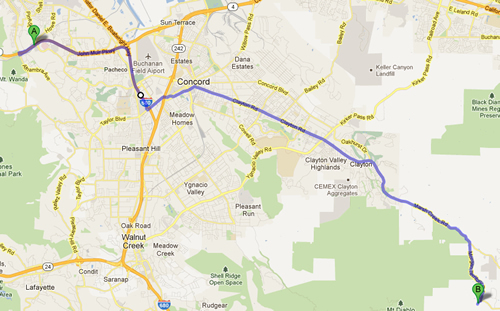 Go 1.7 miles to Ygnacio Valley Road (do not turn, stay straight on Clayton Rd), STAY on Clayton Road for another 5.8 miles from Ygnacio. Right onto Morgan Territory Rd, then 1.9 miles. 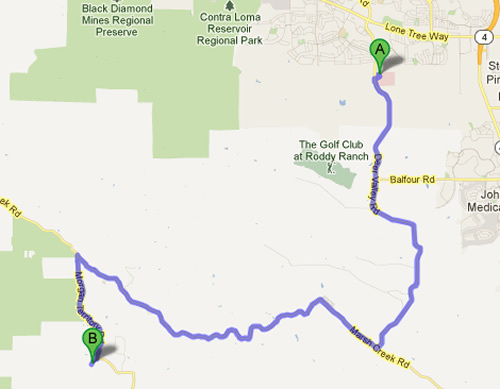 Take exit 51 for Willow Pass Rd toward Taylor Blvd, then 0.4 miles. Left onto Willow Pass Rd, then .8 miles. Right onto Gateway Blvd, then 0.1 miles. 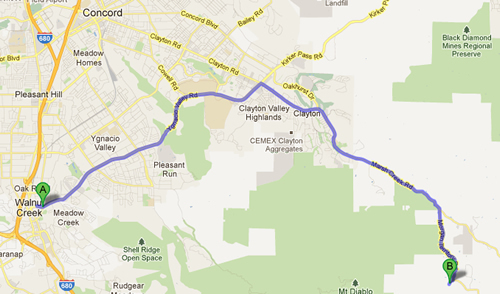 Left onto Clayton Rd, then 1.7 miles to Ygnacio Valley Road, STAY on Clayton Road for another 5.8 miles from Ygnacio.